Mr. DeWitt is a Senior Vice President of Investments for Ivy Realty, and is responsible for sourcing, underwriting and processing acquisitions opportunities. Mr. DeWitt also assists in the analysis and processing of dispositions and financings. Prior to joining Ivy, Mr. DeWitt was a Senior Vice President overseeing investment activities for Rouse Properties, Inc. (NYSE: RSE), a New York City based retail REIT. His role focused on the sourcing, analysis, and due diligence of acquisitions, dispositions, and the development of new joint venture relationships. On behalf of Rouse, Mr. DeWitt acquired over $170 million in acquisitions, ran the disposition process on multiple assets, and oversaw a multifamily joint venture development initiative. 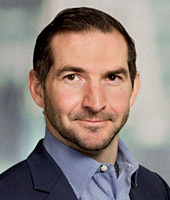 Before Rouse, Mr. DeWitt spent ten years at J.P. Morgan Asset Management, within its Global Real Assets Division where he held positions in both acquisitions and asset management. While at J.P. Morgan, Mr. DeWitt acquired and asset managed a diverse portfolio of assets ranging from suburban and CBD office buildings to retail shopping centers and industrial developments. During his tenure, Mr. DeWitt was responsible for the acquisition of over $725 million in assets, as well as the asset management of 3.1 million square feet of retail and office properties valued in excess of $600 million. Mr. DeWitt received a Bachelor’s Degree in Finance from the Stern School of Business at New York University and a Master’s Degree in Real Estate Finance from the Schack Institute of Real Estate at New York University. Mr. DeWitt also holds the Chartered Alternative Investment Analyst (CAIA) and Certified Commercial Investment Member (CCIM) designations.